While the water bond contains many useful elements, the Legislature has before it much more important legislation for ensuring California’s resilience in droughts. Two proposals, Senate Bill 1168 carried by Sen. Fran Pavley, D-Agoura Hills (Los Angeles County), and Assembly Bill 1739 authored by Assemblyman Roger Dickinson, D-Sacramento, would require local agencies to manage groundwater sustainably. This entry was posted in Uncategorized and tagged drought, groundwater recharge, groundwater security, Jay Lund, Thomas Harter. Bookmark the permalink. 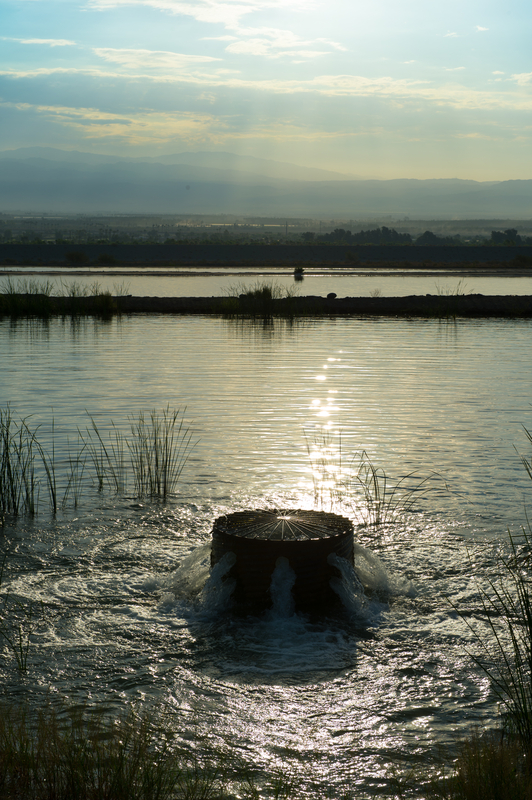 Groundwater over-drafting is the most serious environmental problem facing CA agriculture. My professors at Fresno State talked about it when I was there in the 1970s. Assembly Bill 1739 and Senate Bill 1168 are frauds, in that giving local districts power to monitor and regulate withdrawal from underground aquifers is giving them no power!! Because any attempts by local agencies to develop new law on water rights will be met with well-financed law suits, and every water agency is terrified by this prospect. Result: Nothing will get done. For “local agencies to manage groundwater sustainably”, they must be free from the threat of legal action. No local Agency can afford to take on the Farm Industry, and so they will be unable to follow up on these ‘fine opportunities’ to manage water sustainably. Farmers & Farm Bureau, because it preserves the status quo; legislators because it appears they have done something; local water agencies, because they can say they have power, but can find reasons not to exercise it; environmental advocates because they can claim success in finally succeeding in changing public water law. What might move this is for one agency to act courageously, hoping to set legal precedents. 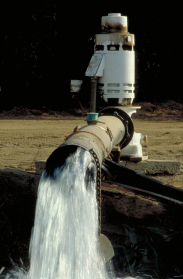 Significant goals, plus others that would need to be identified, would include mandating monitoring – well meters — ; charging for all water withdrawn by a well-owner, perhaps above a low minimum related to the acreage irrigated; limiting the amount of water that could be withdrawn, on an annual per-acre or per-well amount keyed to rainfall or stream-seepage-fed recharge or water table level, and severe fines for non-permitted pumping or withdrawal of water from streams and rivers. Farmers in other states get on perfectly well under these conditions, without crybaby-poormouthing. N.B. I am on the Board of a local Water Agency, but these opinions are mine alone. Thanks for these thought-provoking comments. Jay, would like to dialogue with you further, with your broader experience and knowledge base. … The agency being the Pajaro Valley Water Management Agency (PVWMA), formed by State Senator Henry Mello in 1983 in the Pajaro Valley in Monterey Bay, where the Farm Bureaus of Santa Cruz and Monterey Counties appoint 3 of the 7 member board, where around 25% of this country’s berries are annually grown, where UC generates over $5 million in yearly berry “IP” royalty revenue (it’s 5th biggest revenue generator), where the late Marc Reisner, author of “Cadillac Desert”, stated here in 1998 that the “worst salt water intrusion problem in the World” was then and still today is occurring, and where the “Water Berry Ponzi Scheme” has been running wild and unrestrained for decades … with no end in sight until all the ground water commons are either gone or permanently fouled with both seawater and nitrates.